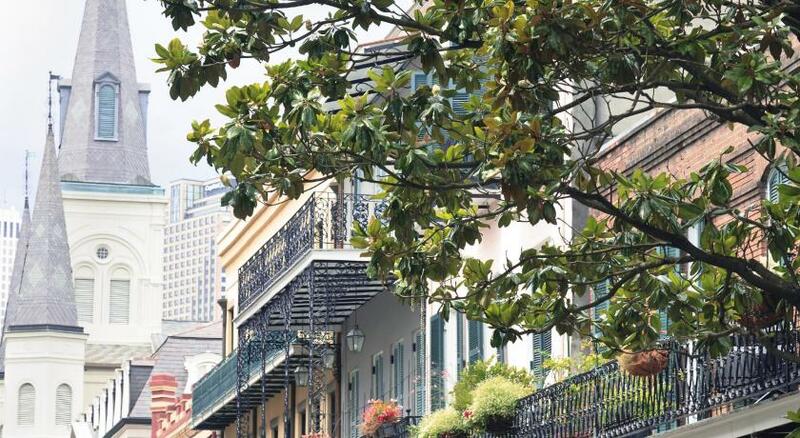 Lock in a great price for Royal Sonesta Hotel New Orleans – rated 8.6 by recent guests! Location was great. Beautiful hotel. Very comfortable room. Check in and check out easy and pleasant. Extremely friendly staff, quiet rooms, gorgeous courtyard to spend time in. Our room had a courtyard balcony and the view from it was just beautiful. 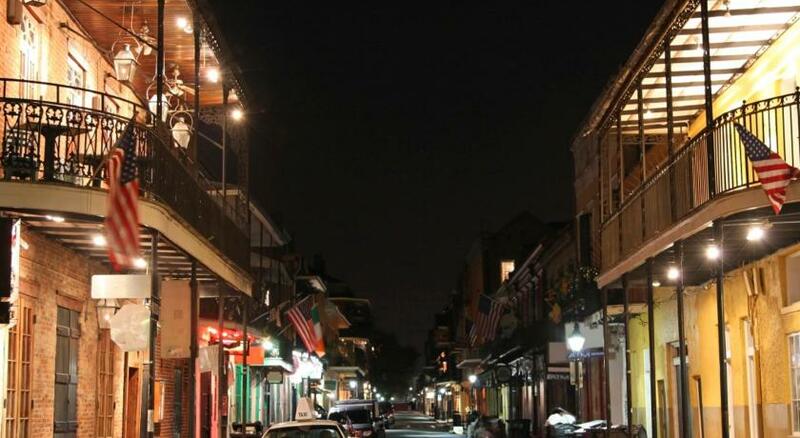 Desirable location in the heart of NOLA, close enough to walk to many locations, but also a fabulous restaurant and jazz club within the hotel. I would highly recommend and we can not wait to return. The mint water in the lobby was such a wonderful treat to keep us hydrated during a nonstop adventure! Locaon is very good. The style of the hotel is good. It is clean too. The hotel was gorgeous, so sparkly and clean! Everyone was so friendly. Location was perfect as we wanted to be right in the middle of the action. Loved our stay! The hotel was beautiful...upscale, but very inviting. Perfect location!! Royal Sonesta Hotel New Orleans This rating is a reflection of how the property compares to the industry standard when it comes to price, facilities and services available. It's based on a self-evaluation by the property. Use this rating to help choose your stay! Located in the historic French Quarter on Bourbon Street, Royal Sonesta Hotel New Orleans offers accommodations with an outdoor pool, multiple bars, and a jazz club. The hotel is decorated with modern art and offers several on-site dining options. Complimentary WiFi, a flat-screen TV and a refrigerator are included in all rooms at this New Orleans Royal Sonesta. Each room includes a seating area, safe and private bathroom. Some rooms offer a balcony overlooking Bourbon Street or the pool. Extras include bathrobes and luxury toiletries. Guests can enjoy a drink and swim at the Oasis Pool Bar, or watch sports while exploring the extensive whiskey list at Le Booze. On-site dining is available at Desire Oyster Bar, while PJ’s Coffee Café offers fresh coffee drinks, light bites and wine. Live music is featured at The Jazz House, the on-site jazz club. Restaurant R'evolution offers upscale Cajun and Creole fare in a historic setting and Bar R'evolution has craft cocktails and a broad offering of wines. A fitness center and business center are available. The on-site spa offers a number of services. Concierge at the hotel can assist guests with requests such as arranging car rental, laundry service or ironing requests. St. Louis Cathedral and Jackson Square are both within a 10-minute walk from the hotel. When would you like to stay at Royal Sonesta Hotel New Orleans? Please note the room type is subject to availability and bed type will be allocated upon check-in. Private parking is available on site (reservation is not needed) and costs USD 43 per hour. This room offers a flat-screen TV, seating area and compact refrigerator. A bathrobe and hair dryer are included. There is a coffee-maker in the room. Featuring a balcony with seating and courtyard or pool views, this private floor room offers a flat-screen TV, seating area and compact refrigerator. A bathrobe and hair dryer are included. There is a coffee-maker in the room. Featuring a balcony with seating and street views, this private floor room offers a flat-screen TV, seating area and compact refrigerator. A bathrobe and hair dryer are included. There is a coffee-maker in the room. Featuring access to the R Club Lounge & Terrace, this private floor room offers a flat-screen TV, seating area and compact refrigerator. A bathrobe and hair dryer are included. There is a coffee-maker in the room. House Rules Royal Sonesta Hotel New Orleans takes special requests – add in the next step! Up to two additional older children or adults are charged USD 40 per person per night when using existing beds. One older child or adult is charged USD 40 per night in an extra bed. Royal Sonesta Hotel New Orleans accepts these cards and reserves the right to temporarily hold an amount prior to arrival. Guests must be 21 years of age or older to check-in at the property. Did not have our room ready when we arrived after 4:00. Some minor misc repairs in room needed-primarily wear and tear type issues. Cleanliness could have been better-housekeeping mediocre. The front desk staff was rude (ladies). When we spoke to the young man he was always very nice but the woman were rude and put off if you asked a question. Did not feel welcome when I spoke to them. Didn’t get the room expected, thought the assigned was over priced. Everything about the hotels was over priced and food for the cost was only par for the rest of the area. There was alot of hallway noise and conversations from the next door room could be heard word for word through the bathroom vent. Hotel was excellent, once inside. Very helpful staff - front desk, bellmen, porters etc. The Jazz Playhouse was wonderful. The room had a lot of things broken in it. There was rust in the tub, things were falling off the walls and the bed was very springy. We also saw two mice in the hallway slip under someone else’s door. The balcony was worth every penny!